The lone Sarvaiya family in Delwada village, dominated by 200 upper caste households, has been facing stone-pelting and ostracisation for far too long. En route the road that connects Diu and Una, a tehsil in Junagad district, Gujarat, which was rocked by violence following the flogging of Dalits by upper castes in 2016, lies a nondescript village called Delwara. About two kilometres from Delwada village, amidst stretches of dry and arid land, a lone shanty house stands out. The shanty house is what the family of Lalji Sarvaiya has been forced to call a home for the last two years. An accommodation that the government had allotted to the Sarvaiyas after they ran from pillar to post seeking to be rehabilitated. Sarvaiyas belong to the traditional leather artisan caste, earlier called 'chamars'. It is considered an outcaste community, one of the 'lowest' in the Indian caste hierarchy, and is listed as a Scheduled Caste in the Constitution. 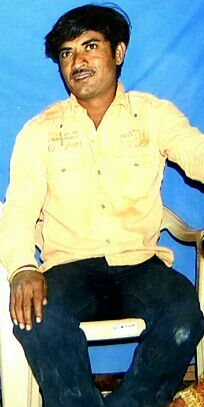 Six years back Sarvaiyas were a family of 14 and lived in Ankolali village, Una taluka until September 12, 2012, Lalji Sarvaiya, one of the four sons of the family, was burnt alive in their house by upper caste villagers of Ankolali. The judgement on the murder case is expected to be delivered on October 30. The family had to flee the village after the incident, leaving behind everything they had earned in a lifetime. The government granted them ‘refugee status’ in 2013. “Every time the government surveyed a piece of land for our family, the upper caste villagers would protest against settling a Dalit family in their village. Due to this, we could not settle for four years and lived in a rented space in Una town. Finally, a plot two kilometres from Delwara village was allotted to us in 2016,” Piyush Sarvaiya, brother of Lalji Sarvaiya, told Newsclick. “Even though the plot is two kilometres from the main village, upper caste villagers had still protested against allotting the plot to our family. But this time the revenue department was firm on their decision and gave us 15 bigha in lieu of the same measurement of land we had surrendered in Ankolali in 2012,” said Piyush Sarvaiya. Noticeably, local leaders of both Bharatiya Janata Party (BJP) and Congress were part of the protesting villagers of Delwara. “The villagers pelt stones at our house at night to drive us away. I was told that the panchayat of Delwada has taken a formal decision barring all villagers to help us in anyway,” shares Piyush stating that despite having a plot of land to call their own, the problems are far from over. Fed up with all this, Piyush Sarvaiya has now written a letter to the Prime Minister seeking permission for euthanasia for him and his family. “We have been at the receiving end of caste violence since 2012. Every time villagers of Delwada pelt stones, we go to the local police but they have never taken any action. Besides, the land allotted to us is dry, arid and rocky where cultivation isn’t possible. Nobody has cultivated this plot for 20 years,” says Piyush. Noticeably, the Gujarat government has attempted to give out the contract to level the land and make it cultivable. However, there have been no takers for the work as the money allotted is a meagre Rs 4 lakh. “If the government can’t solve our problems, and there will never be any respite for us, they can give us permission to die,” says Piyush. This is not the first time that the Sarvaiya family has sought permission for euthanasia. In 2015, Kalabhai Sarvaiya, father of Lalji Sarvaiya and Piyush Sarvaiya, wrote to the Chief Minister of Gujarat stating that the family would be forced to commit suicide unless they get justice. The government responded by arresting Kalabhai and Piyush under section 309 of the Indian Penal Code that criminalised attempt to commit suicide. They were detained in Junagad jail for 18 days. For the past six years, Kalabhai and his three sons have spent most of their time running between government offices or protesting. On April 7, 2015, the family of 12, was arrested for protesting and demanding justice and kept in Veraval jail for 24 hours. In 2016, the Sarvaiya family, along with other Dalit families of Gujarat, sat on hunger strike in Gandhinagar demanding justice. After almost a month of the strike, when no government official responded, Kalabhai again wrote a letter to the Chief Minister, pleading for mercy killing for his family. The judgement in the murder case of Lalji Sarvaiya is likely to be delivered on October 30 this year. “There are chances we might win the case,” says Govind Parmar, the advocate who fought the case. Kalabhai Sarvaiya had four sons, all of whom earned very well. Sarvaiyas were a well to do family of 14 living in Ankolali village of Una taluka, Junagad district. They were the only Dalit family in the village of about 200 households of Patels, Koli and Darbars (kshatriya). “We were considered lowest in hierarchy, like any Dalit family. But our economic condition was better than many households of Kolis or even Darbars. We had a motorcycle, a bicycle repair shop, cattle and even a horse,”said Piyush. “Besides the 14 bigha land that our father received more than 40 years ago, was fertile plot with water, electricity connection and borewell. TAgriculture would yield Rs 3-4 lakh annually,” he added. “But everything was burnt that day,” says Piyush, recalling the horror that the family faced. On September 13, 2002 Piyush and his elder brother Jheenabhai had left the village for some work. They returned to find everything in ruins. Lalji Sarvaiya was 27 and worked in a stone quarry. “He had done well for himself, he used to earn Rs 30,000 a month. He would wear his sunglass and leave for work on his motorcycle. Our father would scold him at times and ask him to maintain a low profile. We were only Dalit family in the village and our lifestyle raised quite a few eyebrows,” said Piyush. Lalji allegedly did what a Dalit is forbidden to do. He fell in love with an upper caste gir. “Rijiben was not just a Koli but also niece of Sarpanch’s husband. Rijiben had gone missing for two days ahead of the incident. The villagers called a bhua (tantric) who performed some ritual and declared that Rijiben was hiding in our house,” Piyush told Newsclick. 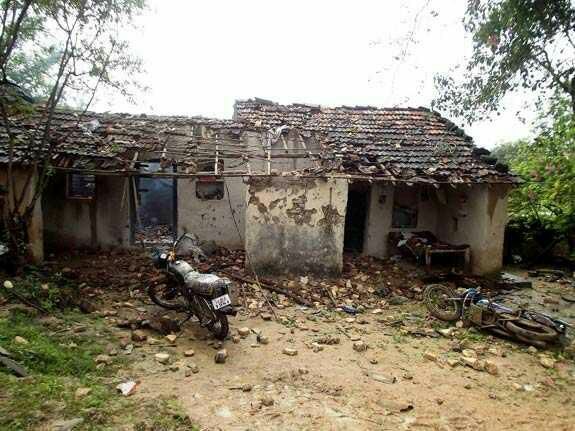 Following this, a mob of about 500, from Koli, Darbar and Patel castes pelted stones at their house, locked the door from outside and doused the house with kerosene and set it on fire. Lalji burnt alive as he could not escape. Kalabhai escaped the fire but was injured in stone-pelting. He watched his son burn to death. Jhayaben Sarvaiya, Jheenabhai’s wife, watched the incident and never recovered from mental shock. She died 10 days later, leaving behind a two-month-old daughter. Just before the incident, Kalabhai had taken a loan of Rs 1 lakh from the State Bank of India (SBI) in Una for buying seeds for the sowing season. The family had received the loan on September 12, a day before the fateful day. After the family fled Ankolali leaving behind their land, Kalabhai had requested SBI to write off the loan, but the bank refused. “Our family is looking forward to the judgement. It has been a long and hard battle for justice,” says Piyush. “The trial went through many twists and turns. Rijiben, one of our main witnesses, turned hostile,” said Parmar. Two days after Lalji was burnt alive, Rijiben came to know of the incident and fled to Bhavnagar district fearing for her life. She managed to take shelter in a government-sponsored women’s home. Later, she wrote a letter to then in-charge of the women’s home stating that she feared for her life. The letter was submitted in the court as evidence. “When Rijiben was brought to court for giving her statement, she changed her stand. She told the court that she was with her parents the night Lalji was killed. On being cross-questioned about the letter, she claimed that she was uneducated and couldn’t have possibly written the letter,” Parmar told Newsclick. “However, the Sarvaiya family has been at the receiving end of social discrimination consciously for the past six years. The family has had to suffer a lot socially even after the incident,” adds Parmar. “It has been difficult to return to a normal life since our brother was killed. Every time we would try to set up a home, upper caste villagers would disrupt our daily life. This is affecting the children of our family. They need to go to school,” says Piyush. “After going through so much, if the government cannot assure us a home and education for our kids then we might as well be allowed to die,” he adds.